Addressing an election rally here in Wayanad district, Gandhi said the Mahatma Gandhi National Rural Employment Guarantee Scheme (MGNREGS), the Congress’s pet project, had helped the 22-year-old woman make it to the civil service as her parents, who are workers, had benefited from the scheme. Hailing from a poor background in Wayanad, Sreedhanya had bagged the 410th rank in the Civil Services Examination, 2018. “She is self-confident and a woman who confronted adversities,” Gandhi said. Attacking Prime Minister Narendra Modi for his criticism against the MGNREGS scheme, the AICC chief said it was the initiative launched by the UPA government that had helped Sreedhanya crack the top examination. “She said because her parents worked in MGNREGS, she could appear for the civil service examination,” Gandhi said, adding that he had lunch with the proud woman. 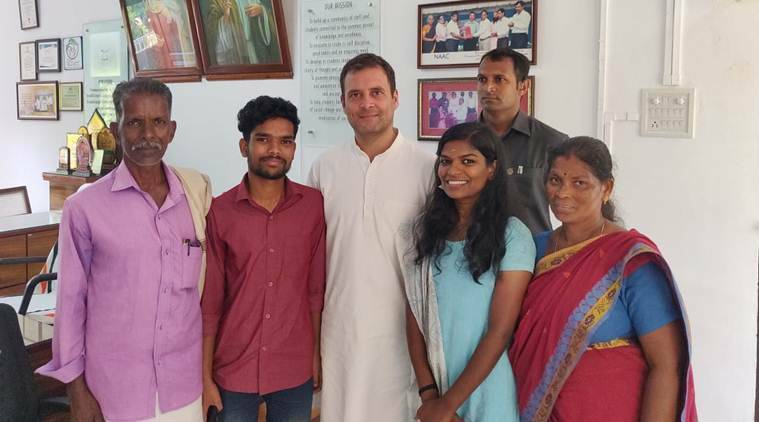 MGNREGS had created one Sreedhanya and thousands of Sreedhanyas would be created in Kerala and other southern states through the NYAY’, the minimum income guarantee scheme proposed by the Congress if voted to power, Gandhi said.